We deliver boxes or cages appropriate to your need. We cater for one-time office moves or spring cleans, as well as ongoing servicing for clients requiring regular pick ups. We’ll help you determine the best service option for your needs. You fill the boxes/cages provided with all of your electronic waste, stationery and redundant office items. Let us know when you’re ready for collection and we’ll be there to remove your discarded items and provide replacement boxes/cages if required. 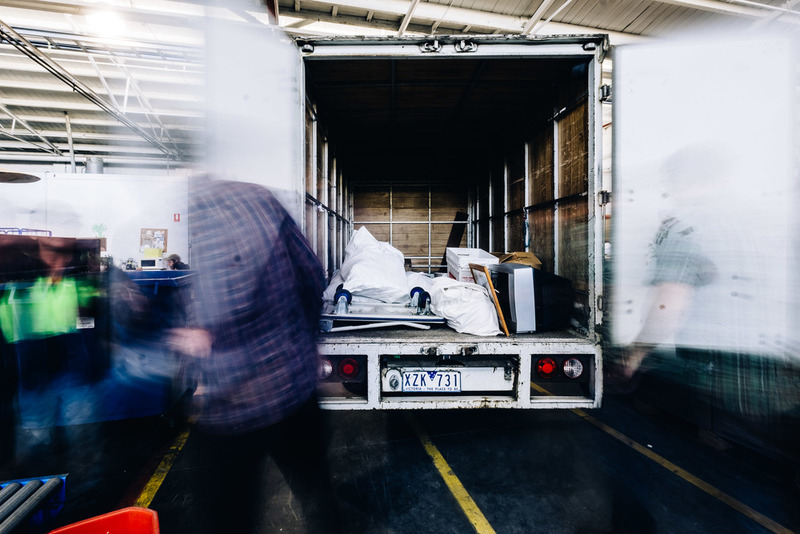 We collect everything you’ve discarded and transport all items back to our warehouse where the sorting process begins. Items are carefully sorted for the most sustainable outcome, prioritising reuse, upcycling and recycling. At Green Collect, we work to ensure that resources are used to their full potential. That means we don't just recycle materials, we use them to create work opportunities for communities who face barriers to employment. Together we're achieving our vision to build inclusive workplaces and sustainable cities. Where items can be used again, we sort, test, and prepare them for reuse. Our priority is to find new homes for quality items with plenty of life left in them. Materials are separated and sent to our recycling partners. 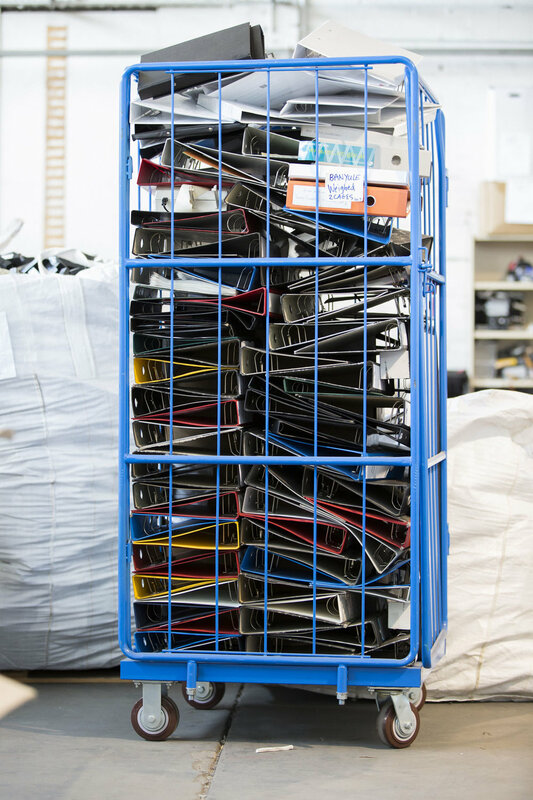 We specialise in e-waste and office waste recycling and ensure safe disposal of dangerous or toxic materials. Our solution for the thousands of folders collected each week, is an innovative range of notebooks that can be customised to suit your business needs.